Military history is an important subset of the history field. 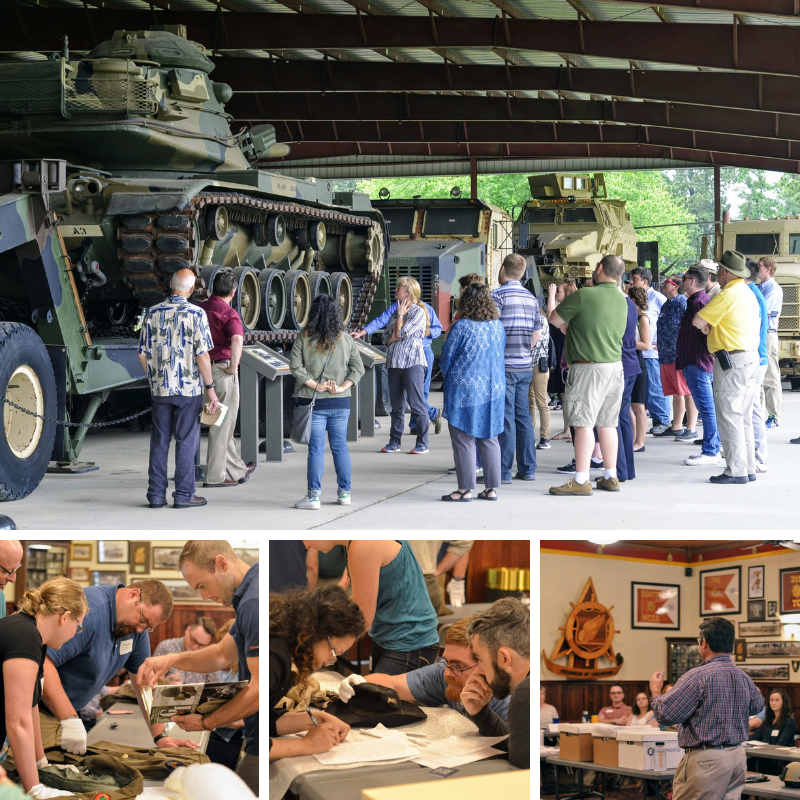 The AASLH Military History Committee provides advice and direction for the development of programs and services that benefit U.S. history institutions with a military focus as well as museums/historic sites with military items in their collections. The Military History Community is made up of a dedicated network of professionals committed to providing the best resources for those interested in the care of military artifacts and interpretation of military history at their sites. Almost every history organization in the country has some affiliation with or attachment to military history. We are here to help ensure that AASLH’s programs and services for these organizations are high quality, address identified needs of the membership, and reflect current issues and thinking in the field. Keep up with military history blogs on the AASLH blog. Browse military history resources in the AASLH Resource Center. Sign up for our listserv. The Military History Community publishes an e-newsletters with articles and updates about the group and issues facing the field. To subscribe to the e-newsletter, simply join the Military History Community. You can also view past issues. Every year at the AASLH Annual Meeting, the Military History group plans sessions involving military history and at least one meal or event for the community members to attend to network. Past events includes special tours of military sites and luncheons. AASLH holds a 2.5 day Collections Camp workshop focusing on military collections at locations across the country. This workshop covers conservation, artifact identification and handling, interpretation, and collections management for military objects, including photographs, textiles, and equipment. View photos of the 2018 workshop on our Facebook page.